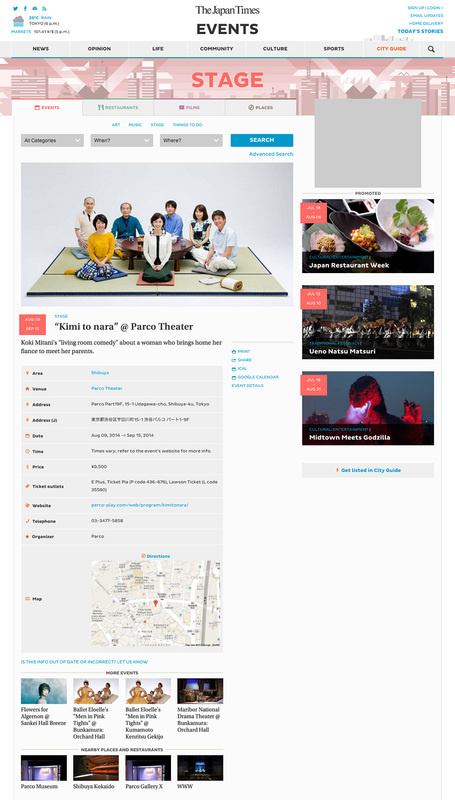 We designed and developed the new City Guide feature for The Japan Times website, a dedicated section featuring the best local events (arts, music, stage etc), restaurants, films, movies, and other cool happenings in Japan. 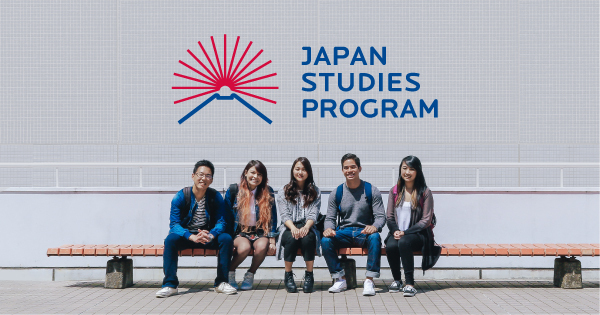 Rooted in our previous experience working together, we continued to strengthen and build our relationship with The Japan Times. 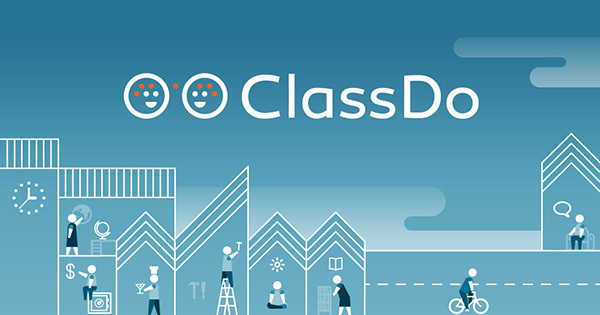 We worked closely together to understand the client’s goals, involving them every step of the way in the major design and user experience decisions. This allowed us to create new guide feature that not only looked good, but also met technical and functional requirements that allow for a great user experience. City Guide – Illustration for the events section. 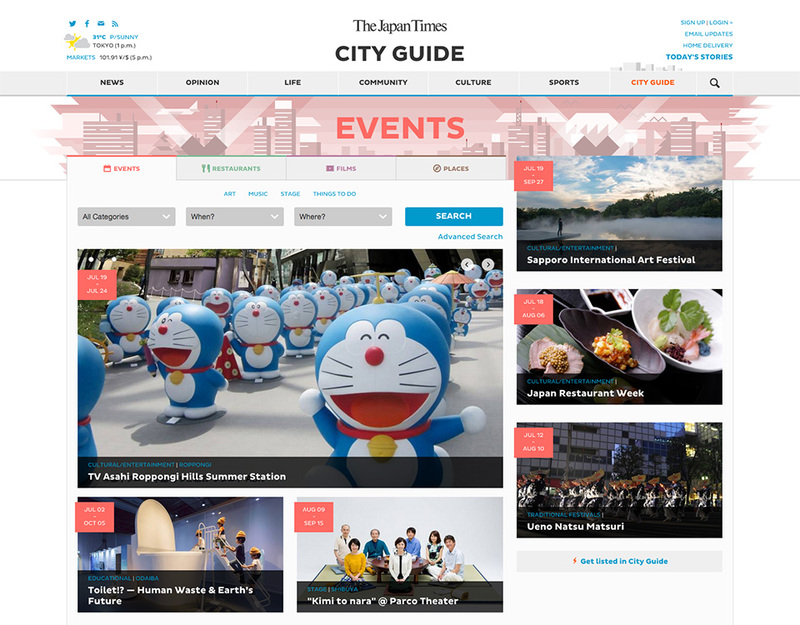 We were honored to work with The Japan Times again, this time teaming up to design and develop a new City Guide feature for The Japan Times website. 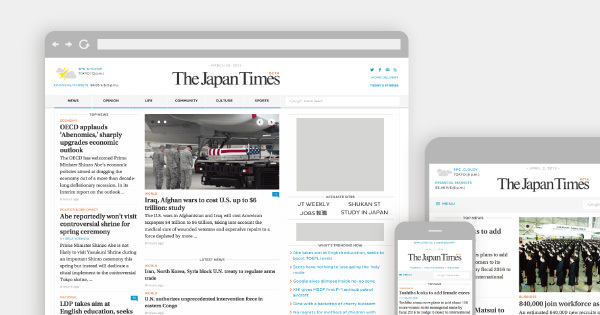 The Japan Times wanted to create a new dedicated section to their website that would allow users to find the latest information on local events (arts, music, stage etc), restaurants, films, movies, and other cool happenings in Japan, all in one place. We worked together with The Japan Times, designing and developing the conveniently titled City Guide, to accomplish just this. City Guide – Illustration for the film section. 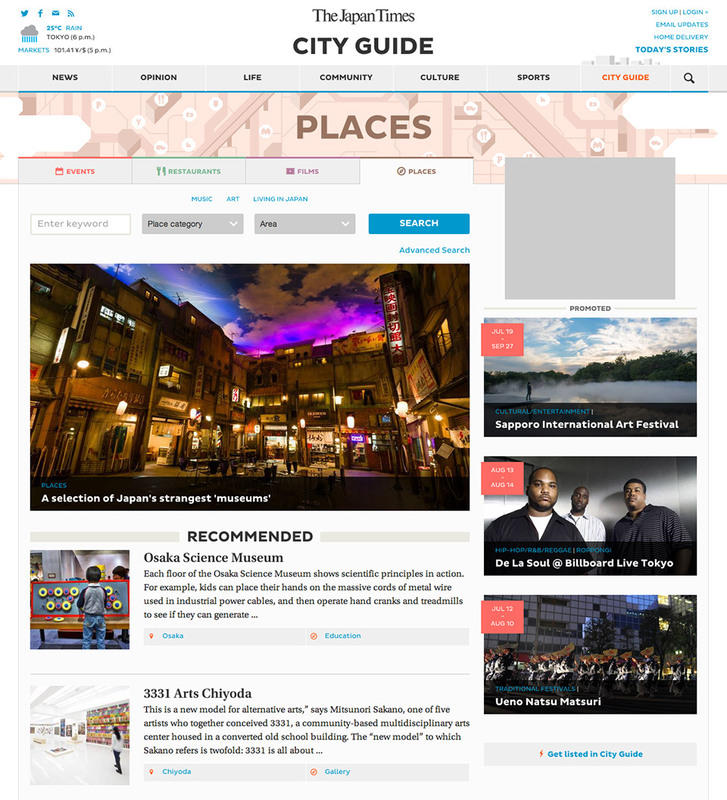 The City Guide is divided into four (4) sections Events, Restaurants, Films, and Places. Extensive filters and custom search options allow users to scroll and discover new and interesting events, or hone in on the details of a specific event in mind. The Restaurant and Places sections allow users searching on GPS enabled mobile devices to do nearby proximity searches and find results nearest to them. City Guide – Illustration for the places section. Detail pages for individual listings display information tables about all event details accompanied by a map and direction feature for ease. The direction feature allows users with GPS enabled devices to display the most convenient routes from his/her current location to the venue. 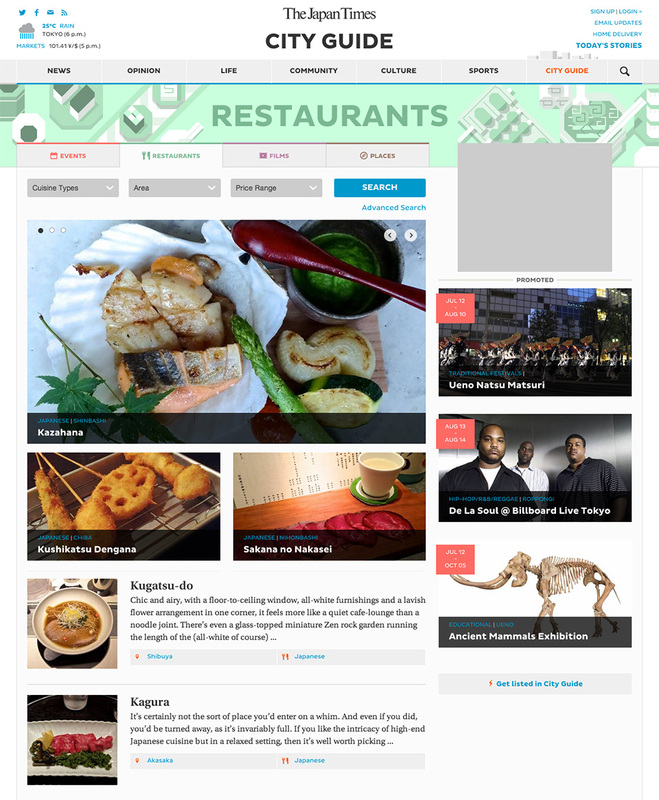 Recommendations for other venues at the bottom of the page make use of location data and display nearby ones. 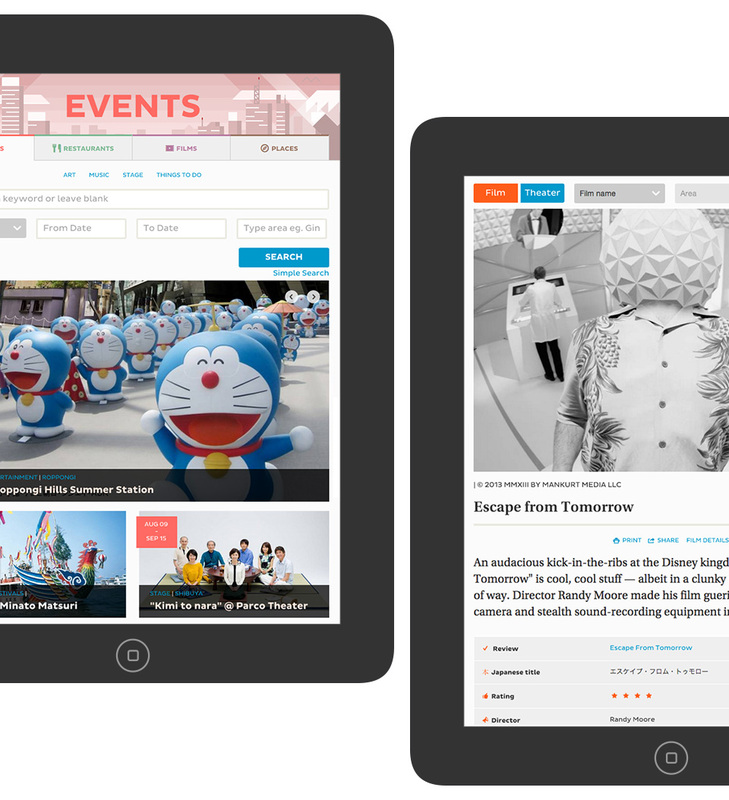 Detail pages in the City Guide are often linked to full review articles in the Japan Times editorial section, providing users with helpful information and firsthand accounts from other people who have already experienced the event. 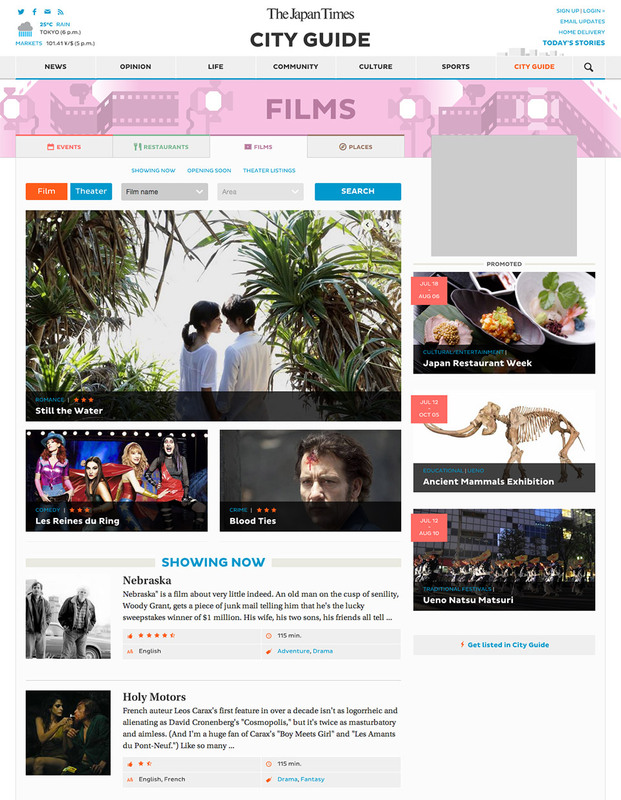 The Film section integrates two larger sub-sections: Movies and Movie Theaters. Likewise Movie posts display a list of theaters where the movie is currently screening. Details include theater name, period and show times for each day. City Guide – Illustration for the restaurants section. Intuitive and Seamless, Regardless of Device. 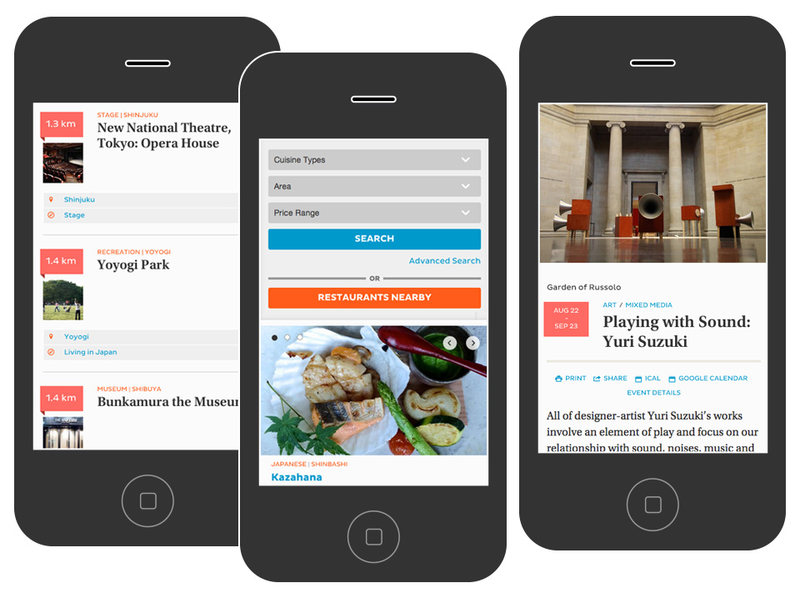 We created the City Guide with responsive web design principles, allowing for the best user experience regardless of whether you are viewing it on a smartphone or tablet. 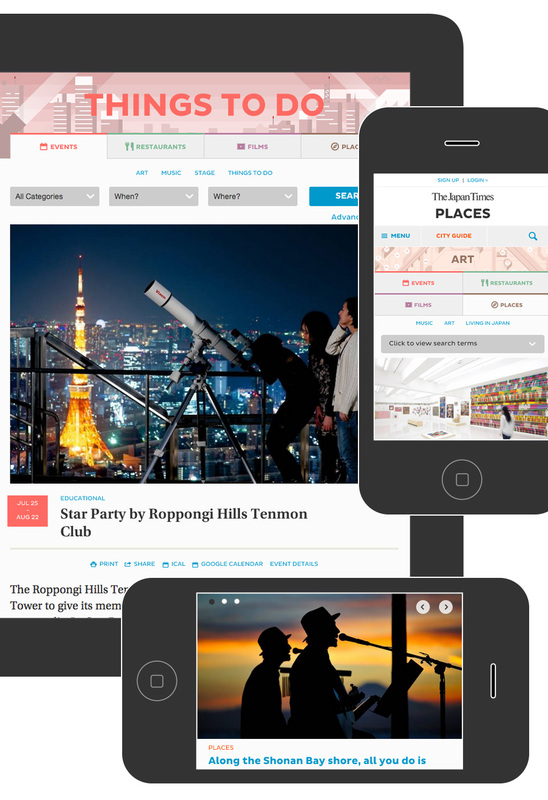 The City Guide was soft-launched in August 2014, and continues to be a central service for people in Japan to find up-to-date information on events, food, and things to do in English.